If you have been reading TNW US over the last several weeks, you will have noticed that we have been covering the e-reader market nearly every day. Much is happening in that part of the technological kingdom, and it has important future implications. Questions such as: will publishers maintain their current clout in the market, will authors increasingly publish their own work, will the average e-book price itself at $9.99, or $2.99 or $12.99, are all bouncing around without any clear answers. A quickly growing fan of the e-book idea and a recent Kindle convert on my iPad, I decided to test publishing on Kindle myself. Until you try, you do not know. For the indie author, does self publishing on Kindle live up to the hype that it liberates you from every needing to find a publisher, or is it more a small scratch on a bigger itch that you can’t fix? The answer, not surprisingly, from my now personal experience, is somewhere in between. If you have the resources and the drive, I see no reason why you could not become a successful, selling author on the Kindle (et al e-readers) platform. I can also see how you could spend months writing a tract, and sell two copies. Let’s break it down. I wrote a short essay, mostly gave it away for free (on Scribd, put a short version on HuffPo, published it on my blog, etc. ), but also sold it on Kindle. This was however, no small side project. I had three separate people assist with editing over three drafts. I paid a graphic designer to draw a cover for the work. I promoted it where I could, and it performed well on Amazon, shooting (temporarily) to the #1 book on Kindle in the Atheist genre, and the #3 book on Atheism overall for about half a day. Did it sell huge quantities? No. In fact, I doubt that it will recoup the money I paid to have it prepared. Worth it? To me yes, the project wasn’t about money. However, there seems to be a feeling among many indie/smaller authors that Kindle is some sort of panacea, and that merely being ‘out there’ on Amazon (and iPad, etc) will ensure that people pay for their work. Here is a little secret that every blogger knows, but that many old-school printy people just don’t seem to get: the horse may drink the water, but you have to drag it to the damn pond. This is even more true when you expect people to actually pay for your writing, unlike in blogging where you give it away for free. Being on Kindle means that you have made the first step to selling your work, but not that you will actually move a single copy. You have merely opened the door. Once you are on Kindle, the real fun begins. Promotion is the last thing that authors and writers like to do, even us online types, but it is part of the game, period. The more effort you put in, the more success you will receive. 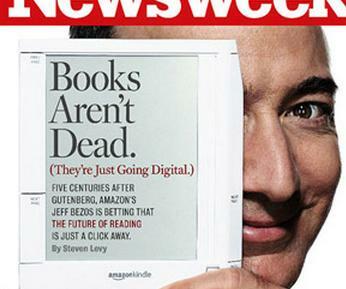 If you follow e-books, you have heard the following statement: “E-readers are great! I can write on my narrow, narrow niche, and still reach people with my great content!” Small tip: niche genres are more publishable on Kindle than in print, but they are still niche. You will be effectively limiting your sales potential out of the gate if you write about a small one. People protest this. “But there are millions of Kindles out there, so there must be thousands who also like to cross-stitch using organic hemp cat gut! They need my $24.99 guide!” Maybe, but see our previous point. It is doubly true in a narrow genre. If your work is mass market, you promotion efforts will have greater effect. If you reach 1000 people in your campaign, and your work is 50% mainstream, then 500 people might be interested in it. If your topic is 5% mainstream, then only 50 of those people are potential readers. The math makes niche, well, niche. Be careful that you don’t paint yourself into a corner and end up with 50,000 words that no one will ever read. Not sure if you are too niche? Find the last book in your genre that was a bestseller. Not one in the last five years? Move on. If you want to do it poorly, yes. It sounds trite, but you can publish into Kindle and the other platforms simply, or you can do it well. My essay was only 3,000 words so I went with simply (poorly), but if you need chapters, an index, and the like, you are going to need to get nitty gritty into the world of HTML. Don’t want to play? Then don’t show up to the game. Like it or not, Kindle is not kid’s stuff. It’s a professional platform that you can use to reach millions of readers. If you show up like an amateur, you will be ignored like a chump. If you actually expect people to give you their hard earned money, get ready to provide legitimate value. If you need help, go talk to the guru of Kindle, J. A. Konrath. What does all of this say in the ongoing e-book wars? Initially do note that, despite all of my warnings, Kindle is still the simplest and best place for anyone who likes to write to self publish something that they have written. The Nook and iBooks platforms will catch up shortly, but for now, Kindle is the winner. Of course, most of the books (I presume) that are sold on the big three e-reader platforms are not works by indie authors, but by big names on the bestseller lists. So, this Kindle edge I just stated is (probably) not that big a structural advantage, but it can’t hurt. Do remember that Kindle still has the most titles and usually the cheapest price of all the e-platforms. It’s competitors are experimenting with good products like NOOKstudy, but for now, Kindle reigns. During my first run through Kindle, everything was smooth as a button. I have not a single complaint. I really can’t recall the last time that I tried a new platform (for me) and could say that. Have you tried Kindle? What do you think?